In this case, weird definitely means ‘we don’t have that in Canada’ rather than ‘ewww’. 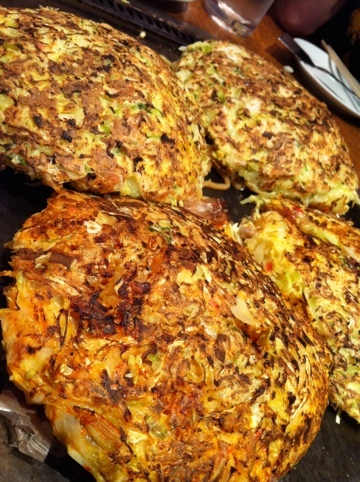 Okonomiyaki is a pancake shaped mix of water, flour, eggs, bean sprouts and cabbage, fried on a grill with various toppings. I think the name means ‘anything you want: fried’ and that’s really what it is. My current favourite is the pizza flavour at a shop near my school: bacon, corn, cheese and egg. 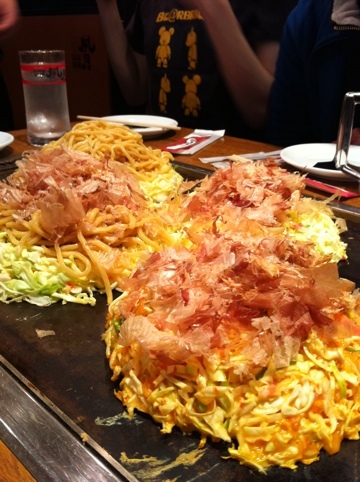 Okonomiyaki is especially great because you usually get to see it made in front of you. 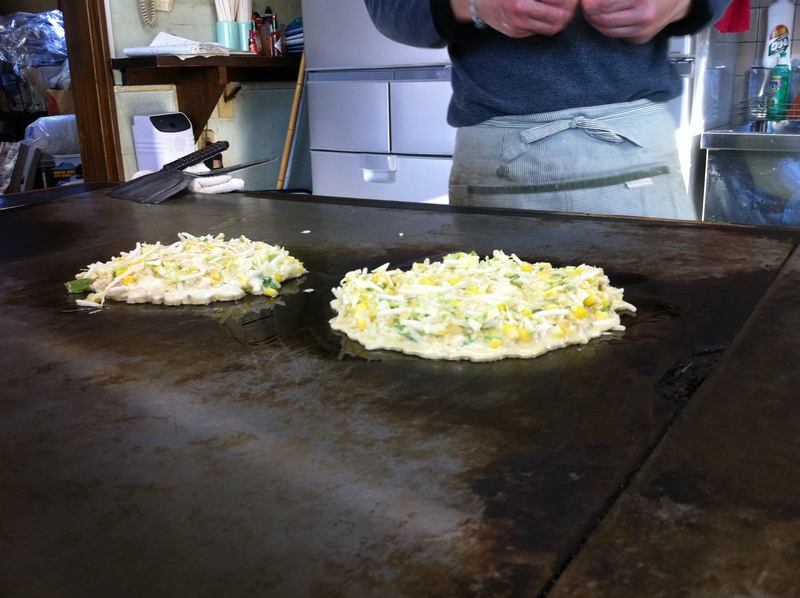 Most Okonomiyaki places have tables with grills right in them, so you can cook the mixture yourself. After it finishes cooking, you slather it with a delicious mystery sauce, mayonnaise, fish flakes and seaweed. Australia's Weird Food: Giant BACON!